These top tips are designed to help you get set up and configured with Quotestream on your desktop. When you launch Quotestream you'll notice that you have a set of pre-built screens in place already. The Help menu in the top left corner is a great way to get bite size tips and 'how to' guides, explaining all of the modules and features you can access. 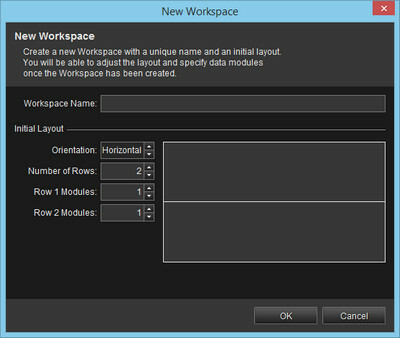 To create a new workspace, go to the 'Workspaces' menu and click on 'New Workspaces'. Here you can select a name and decide on the layout that suits you. 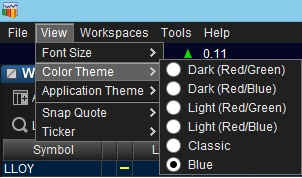 Quotestream gives you the flexibility to customise your font size, colour theme, application theme and the placement of your snap quote and ticker. To change these settings to your own liking, click on the 'View' menu. 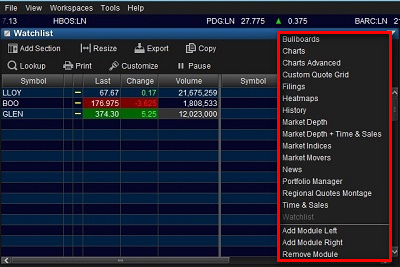 From heatmaps to market movers, Quotestream gives you access to a wide range of modules. You can add, remove and switch between different modules by clicking on the dropdown arrow.  Watching stocks on Quotestream is quick and easy. Simply add the epic code you want to find in the symbol column - press enter - and the information will populate automatically. 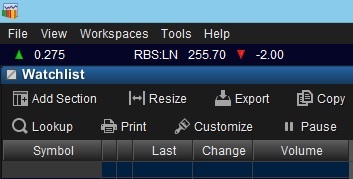 Log in to your account, go to "trading" and select "level 2/quotestream" to get started. If you'd like some help navigating your way around Quotestream, you can send us a secure message from your online account. Terms of Service for Quotestream will apply once you start using the platform from your secure account. Quotestream is designed for active short-term equity trading. Equities tend to be volatile high-risk / high-reward investments, consequently, this service is intended for investors with an appropriate degree of equity trading knowledge and experience, such that they fully understand the risks involved. Remember that stock market investments can rise and fall in value and returns are not guaranteed, which means that you may get back less money than you originally invested. If you are unsure about investing or think that you need a personal recommendation, you should speak to a suitably qualified financial advisor.